The 2018 Subaru Forester is slowing down before the new 5th generation model arrives. Will the all-new 2019 model be a hit like Crosstrek? Subaru has three vehicles in the U.S. that have kept Subaru of America setting records for the past 8 years. The Outback, Crosstrek and Forester are the top three selling models in the lineup, but while the other two are up in sales, Forester is slowing down before the all-new fifth-generation model arrives next year. The 2018 Subaru Crosstrek received a complete makeover and is up 14.5 percent for the year, Outback, in its mid-cycle, is up 5.2 percent and Forester is due now for a remodel and is down 0.3 percent. The all-new fifth-generation 2019 Forester is due to make its dealer launch in October 2018 and it should give the brand a huge boost. Consumers are waiting to see what the new 5th generation Forester will look like. If it’s anything like Crosstrek, it should be a hit with small SUV buyers. We do know Forester is getting the new Subaru Global Platform (SGP), new exterior design language like Crosstrek, Impreza and Ascent, a new direct injection boxer engine with a small bump in hp, improved fuel-efficiency, the Lineartronic CVT automatic gets lighter, and gets new upgrades, and all trims could come standard with the latest EyeSight driver assist safety system. Like Crosstrek, look for the new 2019 Forester to get a larger rear lift gate opening to make loading large cargo easier. It will also be more comfortable and roomier inside because of the new SGP, and come with a lower center of gravity for improved driving dynamics. The new architecture underpinning the 2019 Forester will be 70 percent more rigid which translates to reduced vibrations and a smoother ride, and the new platform will reduce body roll of the vehicle by 50 percent compared to present models. The Subaru Forester small SUV is next in line in the brand’s stable to get a complete makeover and it’s due. 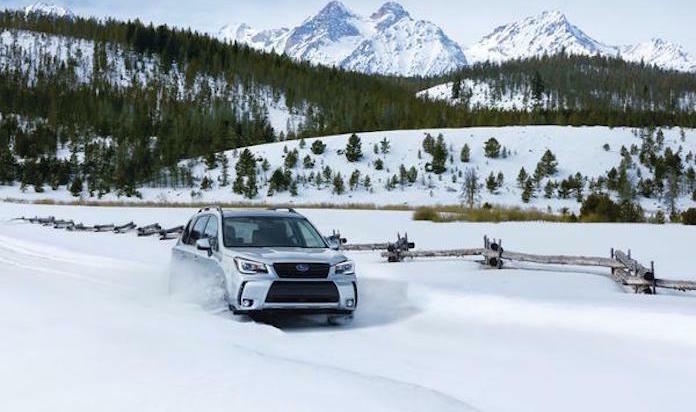 Consumers are waiting to see the all-new 2019 Subaru Forester and sales of the present model are slowing down, but the new-generation model is coming in the fourth quarter of 2018. Look for the new small SUV to be a hit like stablemate Crosstrek when it arrives next fall. If you liked this article and think it may interest your friends, consider sharing or tweeting it to your followers. I hope Subaru has fixed the gas line problem the wife's 04 Forestor has! When the temps get into single digits it smells like gas is spraying into the cab! Ahh your car is 14 years old what a ridiculous comment. Maybe it’s time to get the wife a new car. I have a 2009 Forester. I love my Forester, I feel very safe while driving it no matter what the road conditions are. I have never had a problem with my Forester I did look at the 2017 Foresters and decided to wait to see if their would be any changes it 2018. Subaru needs to have cooling seats and a heated steering wheel. I have Rynards and a heated steering wheel would really make a difference to me. Many vehicles sold at a lower price have heated steaming wheels. My 2007 Forester is still going strong but would still by a new Subaru if they made something smaller than an SUV. The earlier smaller Imprezas would be a dream car for the boomer generation. And keep it simple, with ample size windows. I'm looking forward to the upgrade. I have the 2017 XT and as long as they keep the turbo version, I'm fine with upgrading. I hear the new engine in the Ascent doesn't require premium fuel - would love to see that engine in the new XT or "Sport". My steering wheel is heated but only at the 3 and 9 o'clock positions - the entire wheel should be heated. The cabin takes a long time to warm up as well, not enough air vents throughout and my passengers note that it's colder in the rear seats. Lastly, too many hard materials, especially where my knee rests. I'm hopefully Subaru takes into account customer feedback. Hi: I have enough of MB automobiles and their outrageous upkeep cost. Considering a 2019 Forester XT. Have talked to many owners of Forester's with N/A engines who kept their cars for 10 years or more. Will the turbo engine be as long lived? Thank you for your advice. Ugh... Just sat in a 2019. Apparently Subaru is letting Toyota's influence cause dumb decisions. The new seats are SO tiny. It's absolutely disgusting.